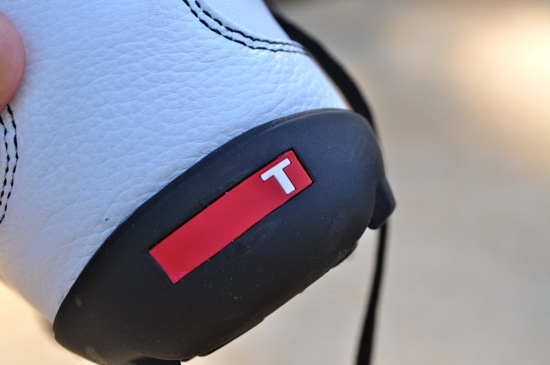 A review of the TRUE Tour golf shoes by Fresh. I’ve never seen anyone on a course wearing a pair of TRUEs – but I’m sure it’s only a matter of time. These shoes significantly out-perform every golf shoe that I’ve ever owned. From a visual sense – I really like the look of the Tours much more than traditional golf shoes. 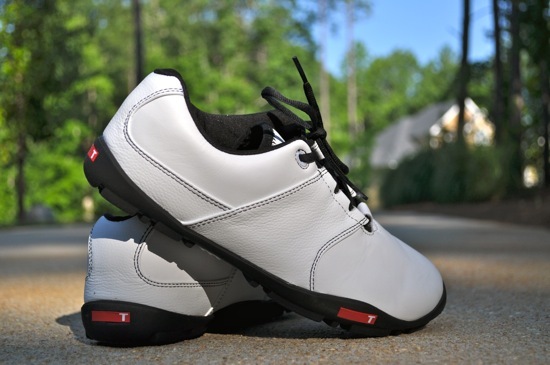 It’s certainly a matter of personal preference – but the rounded toe box, thin soles, and low-profile nature of the Tour’s is a welcome change from the typical golf shoe. I did notice that they took a while to get used to because they are so different in both feel and style. As far as comfort goes with the Tours – these shoes are the most comfortable shoe that I’ve ever worn. I felt like I was wearing a casual slip-on shoe with some super-squishy padding and solid support. The shoes hug your feet really well and feel similar to a having the “suction”-feel of having something like neoprene wrapped around the top and sides of your feet. The shoes have a memory-foam heel and a fitted sock liner that provide the snug feeling. Although I prefer to wear socks – these shoes could certainly be worn sock-less and still be extremely comfortable. The rounded sides and relaxed feel of the shoes had the benefit of really feeling like I was swinging much smoother than normal. 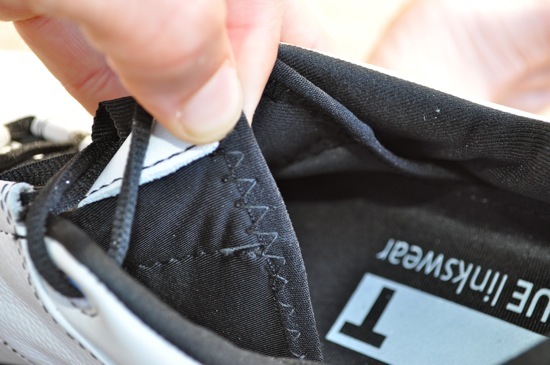 The lack of hard edges allow for the shoe to roll over easier and that feeling was noticeable in my follow-through. Another significant difference in the feel of these shoes is the toe box. 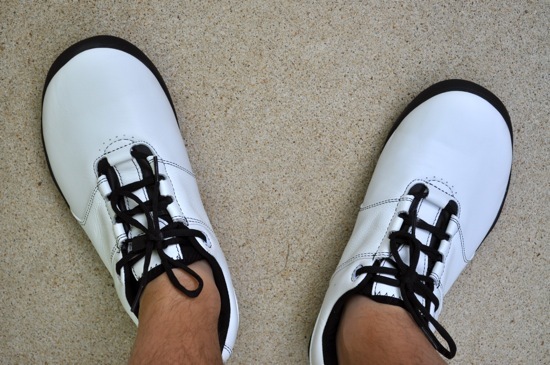 I don’t have wide feet – but my toes do get uncomfortable with a traditional tapered-style golf shoe. 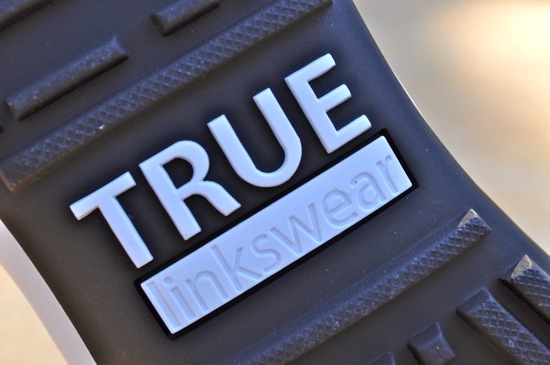 The rounded and larger toe boxes of the TRUE Tours allow for more movement and certainly more comfort. All of that additional comfort will have you smiling ear-to-ear as you walk between your shots. At first, I was a little concerned about having the shoes slip out during my shots because of the lack of traditional spikes and the introduction of the nubs on the soles. I change the golf spikes on my normal golf shoes every few months and I tend to wear through them very fast. Surprisingly – I haven’t had any issues with the nubby soles and I have never had my feet slip out from under me during a swing. I’ve played with the shoes early in the morning with dew covering the course and still haven’t had any slippage. One of the unintended benefits that I found with the nubs is the ease of cleaning the shoes. The dirt, clay, and grass doesn’t get stuck on the bottom of these shoes like it does with spiked shoes. A simple brush of the bottoms tends to get these shoes fully clean on the soles. It’s really nice to get the shoes cleaned up with minimal effort . I also did manage to scuff the shoes in my first round – but was able to remove the scuff marks (which were black on the white / white Tours) with a few strokes of an eraser. The Tours are also waterproof and they hold up as advertised. Rain doesn’t seem to penetrate the shoes at all and I my feet stayed dry playing in moderate rain. Amazingly – they hold their traction even in slippery conditions. It’s also worth mentioning that the weight of the shoes comes in at an amazing 11 ounces. The lack of weight in the shoe is noticeable and make walking the course a true delight. The comfort of the shoe and the light weight have tended to nudge me into walking the course way more than before and I’ve been smiling at the end of every round. 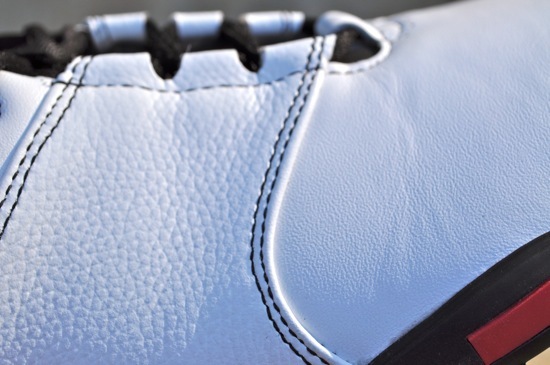 The construction of the entire shoe is solid and I don’t have much else that I could ask for in a golf shoe. 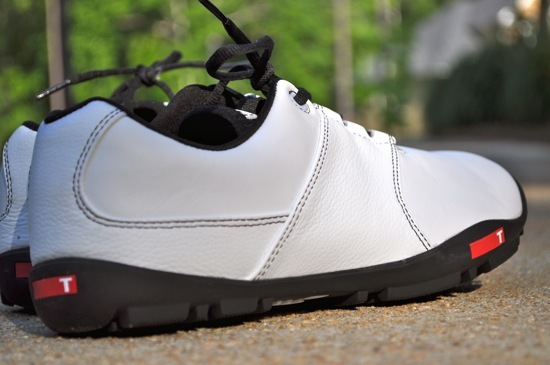 These shoes come in at a great blend of both fashion and function and are hands-down my favorite golf shoes of all time. The TRUE Tours come with a 180 day material and workmanship warranty and a 1 year waterproof warranty. The waterproofing warranty also extends beyond the 1 year to allow for a 75% discount on the same or equivalent style. If you’d like to see some additional pictures of the TRUE Tours, you can checkout the TRUE Tour Review photo album that we have posted on Facebook.